Gordon Gekko got it right. When it comes to kids and toys, greed is good. And nowhere does this sentiment reach its full fruition than during the holidays, when kids demands more and bigger and better and brighter. 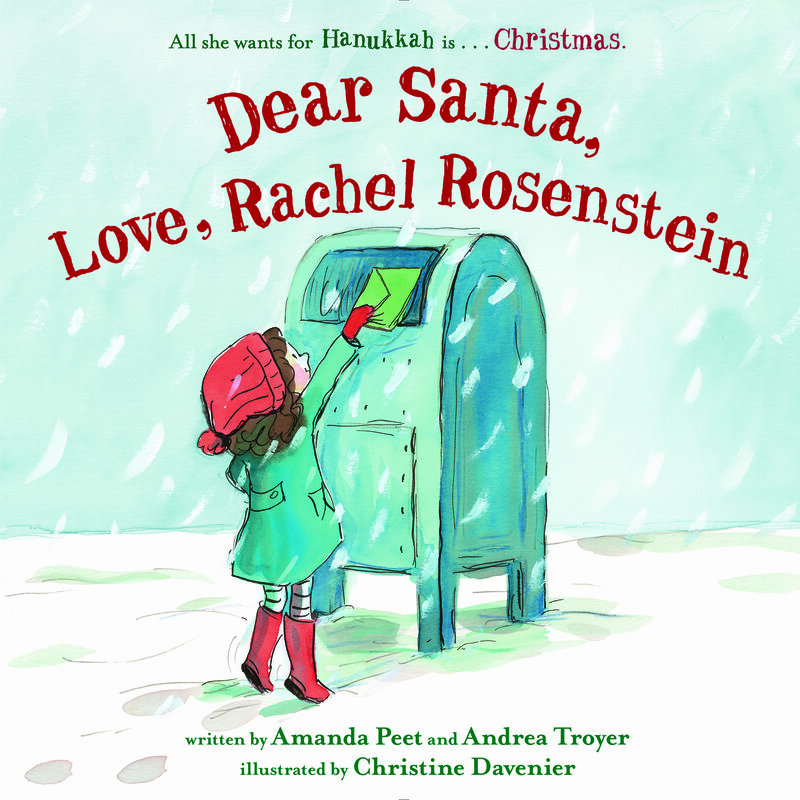 It's partly why Amanda Peet wrote her kids' book, "Dear Santa, Love, Rachel Rosenstein," about a girl angling to celebrate Christmas, even though her family is Jewish. Peet's own family is a blend: dad a quaker, mom Jewish; her husband, "Game of Thrones" showrunner David Benioff, is also Jewish. Her kids, says Peet, "do appreciate the holidays. Hanukkah isn't as spectacular. Let's face it. I get them too many presents. I have to stop it because they'll become very Beverly Hills. No offense to anyone who lives in Beverly Hills." Her own bedtime routine is chaotic, to say the least. "I love how you think we read three books a night. Frankie is a very good reader. She's reading on her own, which is a game-changer. She goes to her room. Molly, I'm still reading to her. My poor baby Henry has never been read to. He's ten months," says Peet. She has another kids' book in the works, but won't discuss specifics, save to say it's about a kid dealing with no technology. Perhaps a return to "GOT" times? "Nobody's head gets chopped off. Where all the naked chicks?" she cracks, about the acclaimed but very lurid HBO series. Peet is also a big supporter of Seeds of Peace, which helps kids living in areas of conflict. In general, Peet has a refreshing candor to her, admitting that reading books to kids -- especially the same ones every night -- can become "stultifyingly boring," something that's verboten among the fetishized world of motherhood, where it's all unicorns and rainbows and deep love. "It would be good if more people could admit how complicated it is and that most people feel a good deal of ambivalence related to the boredom of motherhood. It would be helpful for new moms. There's so much shame if you're not completely blissed-out the second you're handed your baby. It's unrealistic and delusional. Same with marriage," she says.